The week in which: a chef contest goes full Game of Thrones, giraffes make nice drinking companions, and Indi Chocolate debuts inside MarketFront. This event is just like Game of Thrones—but without the murder, dragons, or absolute power to overtake your Sunday night and all of your Monday theorizing. It is, however, a fundraiser put on by Seattle Good Business Network in which local chefs will compete to make the best dishes made from only Seattle Made products, locally sourced produce, and Pike Place Market staples. Pike Brewing, Wilridge Winery, Soda Jerk Soda, and Oola Distillery will provide drinks, while Madres Kitchen will serve appetizers, and there will be a silent auction. In the Game of Chefs, you win or you...actually, everyone wins, no one loses their head, and a great cause gets funding raised. Tickets are $100. Question: What could possibly make wine tasting better? Answer: Sipping next to the new baby giraffe, Lulu, born just a month ago. 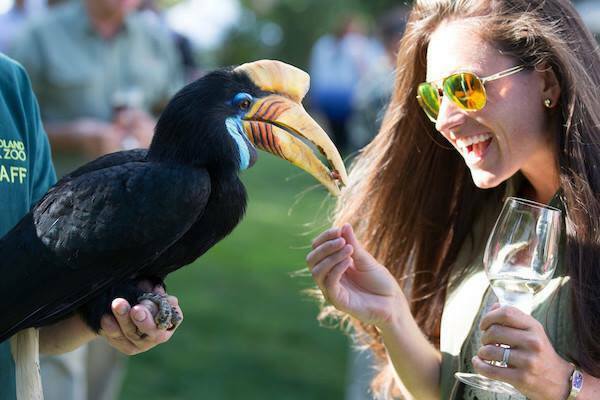 General admission to this event gets you 10 tasting tickets and access to some animal exhibits, while VIP ticket holders will get a souvenir glass, light buffet, and early admission. Music provided by both KEXP DJ Morgan and the lions snoring over in their savanna. With the opening of MarketFront comes some shuffles at Pike Place Market: Indi Chocolate is moving its independent “bean-to-bar” operations in the new expansion. Originally in the inner labyrinth of the market, founder Erin Andrews now has the opportunity to expand what her little shop can do. The opening of the Cafe and Gathering Space this Friday means visitors can see the chocolate-making process, taste chocolate drinks and creations, and can even attend classes on chocolate making. If there is one thing you can never get enough of…it’s chocolate. #Blessed doesn’t even begin to cover how lucky we are in the PNW for our craft everything. Beer, wine, rosé, and cider is growing more and more abundant every day (do we even drink water?). Last year, Governor Inslee even officially proclaimed September 8–18 to be Washington Cider Week, claiming that the “Northwest is home to the nation’s most innovative cider-makers.” And this weekend, the Snohomish Cider Festival is home to those innovative cideries including Jester and Judge, Finnriver, and Woodinville Ciderworks. Tickets include a tasting glass and of course there will be a spot to purchase full bottles of your faves. The 7th Annual Heirloom TomatoFare is Sunday, September 10. Cedarbrook Lodge will host the festival as guests can sample PNW tomatoes while local chefs create heirloom-inspired dishes.